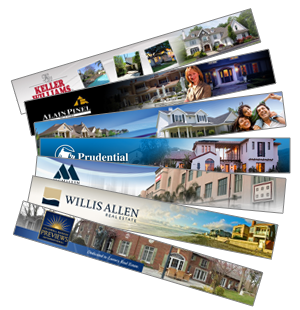 Each real estate listing you have deserves the utmost marketing effort. The fact is that it would be too time consuming and costly for a real estate agent to create a website for every listing. This is where eAgent360 comes in. 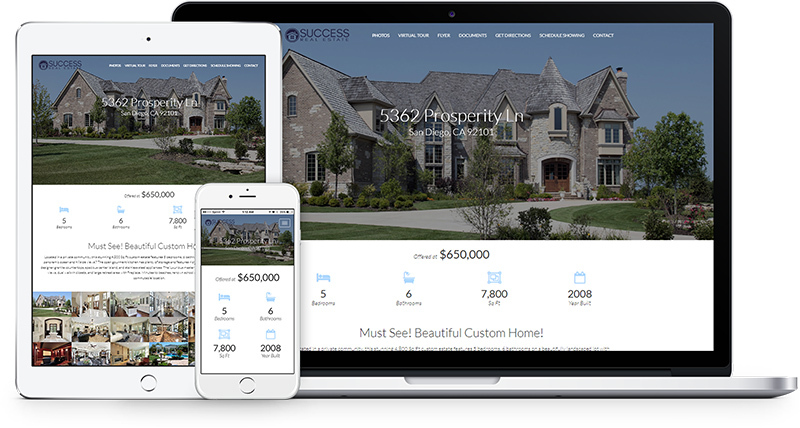 Our powerful real estate marketing platform will AUTOMATICALLY create a complete single property website for every one of your real estate listings. No additional work and no additional providers are required. We understand that the look of your websites represents your image. That is why we invested much effort and time designing the most professional single property website templates. Don’t settle for plain cookie-cutter templates. Use our system and your property websites will stand out from the rest! We also understand you may want to change the look of your property website from time to time. With eAgent360 Single Property Websites, you can switch from template to template with a mouse click. Each listing of yours can have a different website template giving uniqueness to each listing. Our property websites are built with a responsive design making them easily viewable on any device from a desktop computer to a mobile phone. Every aspect of our property website has been designed for mobile friendliness from the website menu to the photo gallery. Our property websites pass the Google mobile friendliness test and has been tested on the most popular mobile phones to ensure all information and photos on the property website are clearly readable and viewable. 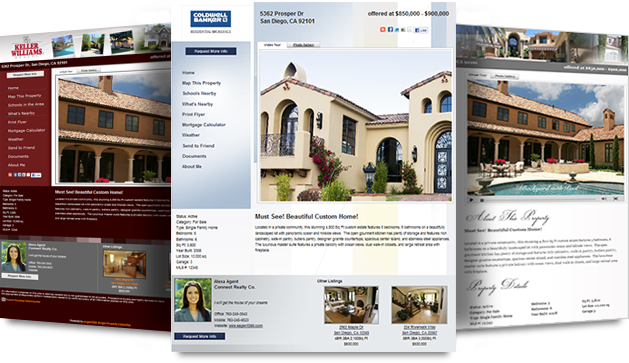 Each single property website is a complete website dedicated to the marketing of the listing. We automatically obtain and post information related to your listing such as map, schools nearby, what’s nearby, and weather. Other pages and links include print flyer, mortgage calculator, documents, send to friend, and social media sharing. The virtual tour that is automatically generated by our real estate platform is displayed for viewing. In other words, the single property website is Done For You! With eAgent360 property websites, you can use whatever domain name you want for each of your single property websites. With this flexibility, you can choose a domain name with keywords to help promote the property website. For example, if your listing is a waterfront home in Bellevue, your domain can be “www.bellevue-waterfront-home.com”. By using keywords in your domain name, your property website will get ranked higher driving more traffic to your property website. Choosing your own domain name will also allow you to choose one that is easier for you and others to remember. The virtual tour for your listing is automatically created and appears on your each of your listing’s single property website. No additional work and no additional provider is required. It’s the power of eAgent360’s integrated real estate marketing platform. Our system automatically generates the meta tags for your single property websites so search engines will index your property website and visitors will find you based on the description of your real estate listing. You may also customize the meta tags so you may focus on specific keywords of your choice. The single property website URL can be customized by you for search engine friendliness. Upload documents to your single property website such as floor plans allowing website visitors to view and download the documents. Lead capturing form on your single property website captures inquiries which are sent to our lead management system. You are notified instantly of any leads generated from your property website by email and SMS text message to your mobile device. Typically you would need to pay a hosting company a monthly fee to host your property websites. On top of that you would need to purchase a domain for each property website. If you have multiple real estate listings this can add up to be quite costly. We host all of your single property websites so you are free of any hosting fees you would typically pay. Our single property websites are compatible with Google Analytics. Google Analytics is the most popular web analytics solution that gives you insight to your website traffic. You are able to fully analyze the traffic to all of your single property websites. Questions about our Single Property Websites?